With the 2015 ITM Cup kicking off this month, and the Manawatu Turbos representing the lower North Island in the premiership, Scafit is proud to be a member of the Turbos 500 Club. 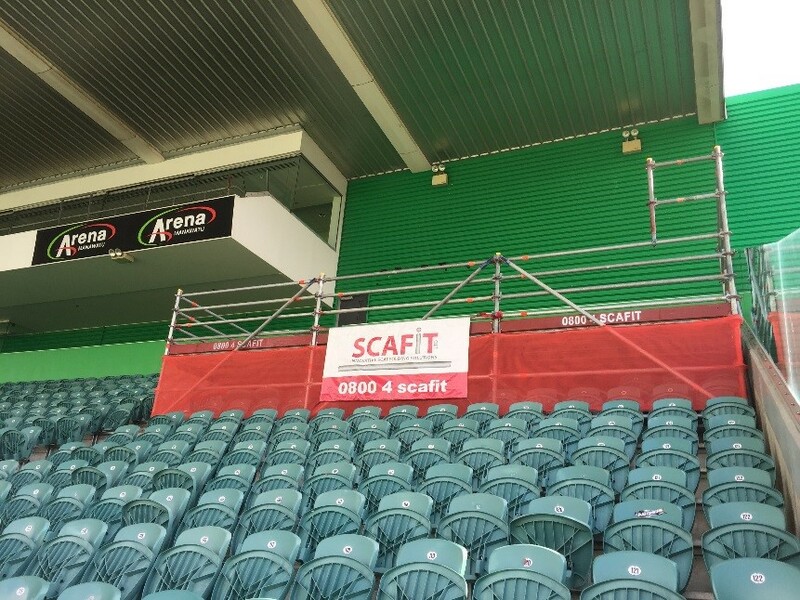 This year Scafit has continued its support of the Turbos, providing facilities at the FMG Stadium in Palmerston North. A VIP viewing platform has been built at the top of the stadium for elevated viewing of the ground. In addition, Scafit has also built a camera tower at the southern end of the ground, which will remain in place throughout the season. Both structures are built from Layher Allround scaffolding with scrim netting and safety handrails.